ROUND 12 promises to be another big one as the Victorian Football League (VFL) Women’s season draws closer to the end. Five teams will enjoy a bye (Darebin, Essendon, Geelong, Williamstown and the Western Bulldogs), whilst the eight teams in action look to build towards finals. The Thunder come into Round 12 just half a game behind the ladder-leading Collingwood, as they take on the middle-of-the-pack Demons. After a shaky month in June, the Thunder have been back to their dominant form over the past number of weeks and last week was no different as they dominated the Tigers to the tune of a 23-point victory. Ebony Marinoff was spectacular with 28 possessions as well as Emma Swanson, who had 24 possessions and two goals. The Thunder’s ability to get contributions from their entire line-up has been a strength for them all year long, with different standout performers each week. The Demons will be looking for a much better performance this week, after being smashed by 41 points against the Cats last week in a completely uncompetitive game. A poor performance overall from the team with no real standouts, the Demons will need to bounce back if they are to make a late season charge towards the finals. Youngster, Eden Zanker has developed nicely and will be looking for more consistent strong outings in the back half of the year. Players such as Kate Hore and Katherine Smith will need to continue their strong form from earlier in the year. Traditional rivals battle on Saturday morning at the home of the Blues when Carlton battle Richmond. With both teams sitting at 3-7 and firmly out of finals contention, this game looms as an opportunity for bragging rights among supporters. Following their win in Round 10, the Blues put up a great fight against the Pies, leading by a goal heading into the fourth quarter and in a great position to pull off a huge upset and hand the Pies their first loss. Unfortunately for the Blues, they ran out of legs and fell by 17 points, however there were plenty of positives to come out of the game. In particular, Kristi Harvey dominated with three goals and 17 possessions and put forward a great effort which almost got the Blues the win. The Tigers have been disappointing in the past month, losing a number of winnable games. They will be hoping to return to their form of a little over a month ago which saw them in the hunt for a finals spot. Courtney Wakefield accounted for more than two thirds of the Tigers total score last week, kicking three goals and two behinds out of the Tigers total 29 points. Phoebe Monahan will also be pivotal in their clash this week, as she looks to continue her terrific form. The Saints come into the game with only four wins. With finals in doubt, they look to play spoiler and knock the Hawks down the ladder. Coming off a disappointing loss to Melbourne Uni which saw their opponent win just its third game of the season, the Saints will be looking to avenge that performance and knock off the Hawks who have lost just one game to date. The one positive to come out of the game last week was the fact that the Saints finished strong. After kicking just two goals in the first three quarters, they kicked three goals in the last quarter and almost ran over the top of Melbourne Uni but fell by three points. Tara Bohanna in particular took over in the last quarter, kicking two goals to bring them within striking distance, while Alison Drennan was her usual, consistent self with 28 possessions. 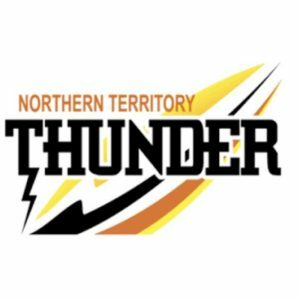 For the Hawks, they come off the bye sitting in third position on the ladder, with a game in hand on second-placed NT Thunder. The consistent Jayde Van Dyk and experienced additions to the side, Pepa Randall and Steph Carroll will be looking to continue their run of form that put the Hawks in position to contend for the premiership. With an incredibly tough final month coming up which sees them battle the Falcons, Bulldogs, Thunder and Cats, the Hawks will need to take care of business in this one before they take on four of the best teams in the competition leading into September action. In the final game of the round, Melbourne Uni take on top-of-the-table, Collingwood in a Sunday morning clash. After a huge confidence-boosting win a week ago, the Mugars will be full of belief that they can knock off the best team in the competition. Madison Prespakis put together one of the best all-round games of the season, with a huge 33 possessions, four tackles and one goal. Melbourne Uni has seen a number of impressive performances from their role players over the past month and this has been much-needed, given the attention Emma Kearney has been given from the opposition, with just a 13-possession game last week against the Saints. A fast-finishing Collingwood saw off a brave Carlton side last week, outscoring them 23-0 in the final quarter to win by 17 points. Sophie Alexander continued to play well up forward, with six shots on goal from her 13 possessions, however was only able to convert two into majors. 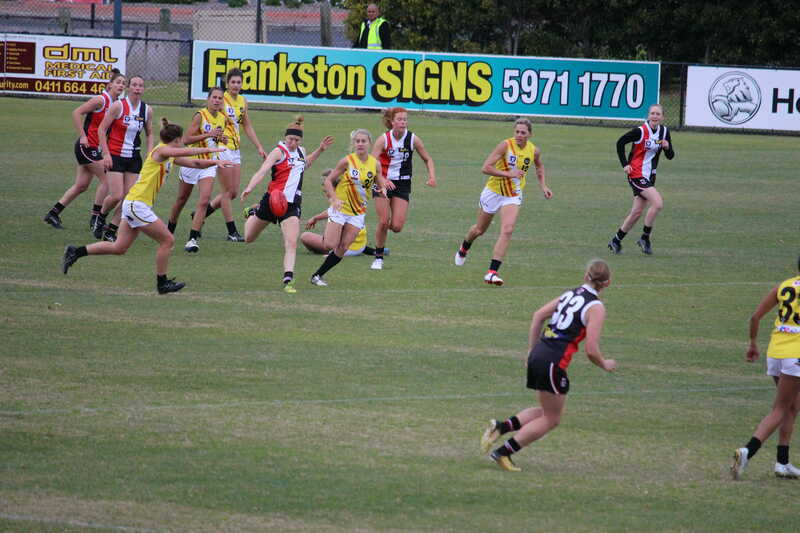 Stacey Livingstone also made the most of her opportunities up forward, kicking two goals from just six possessions. With a big clash against the Thunder looming in Round 14, Collingwood must take care of business in games such as this if it wants to secure top spot at the end of the home and away season, and establish themselves as premiership favourites. A host of TAC Cup Girls stars may be out of Victorian Football League (VFL) Women’s action this week but the sides are still littered with young talent from the competition. Many sides also welcome back AFLW stars and key players, as they look to get a round eight win. Kicking off round eight, Essendon and the Casey Demons will go head to head at RAMS arena. Still in search of victory, Essendon will be bringing back Danielle Ponter and Jessica Anwyl, in place of Molly Warburton and Carla Rendelmann. Former St Kilda player, Carlee Portlock has also been promoted to the starting 22 after spending weeks as one of the emergencies. Liz Flack has been named as the 23rd player. The Casey Demons will be hungry for a win this week after their narrow loss to the Western Bulldogs last weekend. They have made four changes for their round eight line up, bringing in Frankston’s Amy Marshall, who will pull the red and blue jumper on for the first time this year. They have also welcomed back AFLW duo Cat Phillips and Kate Hore as well as Taylor Mesiti. Carlton will be bringing in plenty of fresh legs this week to take on Melbourne Uni. Of seven changes, the Blues will rotate in two AFLW players in defender, Kerryn Harrington and midfielder, Sophie Li. Star AFLW ruck, Alison Downie will also come in this week for the first time in the 2018 Victorian Football League (VFL) Women’s season. Olivia Veseley, Genevieve Green and Isabella Gietzmann have all also been named in for the round eight clash. The seventh inclusion, coming in as the 23rd player, is Northern Knights player, Mika Suzuki, who will be debuting on Saturday. Melbourne Uni have also made a plethora of changes this week. Headlining the changes is the exclusion of Emma Kearney from the round eight line up leaving big shoes to fill, alongside Madison Prespakis, AFLW star, Jasmine Grierson, Kathryn Klatt, Kira Price, Lauren Belza and Jessica Anderson. Melbourne Uni have named North Melbourne recruits, Jamie Stanton and Danielle Hardiman back in for the round eight match up alongside Sophie Abbatangelo, Elyce Hay, Clara Fitzpatrick, Mietta McDonald, Taylah Watson and Western Jets forward, Caitlin Greiser. F: 15. I. Gietzmann, 36. C. Moody, 45. Coming off last week’s bye, Richmond has made six changes to its round eight side. A few big name outs will strike a blow in the tigers outfit, including power forward, Christina Bernardi and fellow AFLW players, Amelia Barden and Lauren Tesoriero. North Melbourne AFLW recruit, Emma King, strong ruck, Jenna Colwell and Emily Findlay will also miss the round eight game. 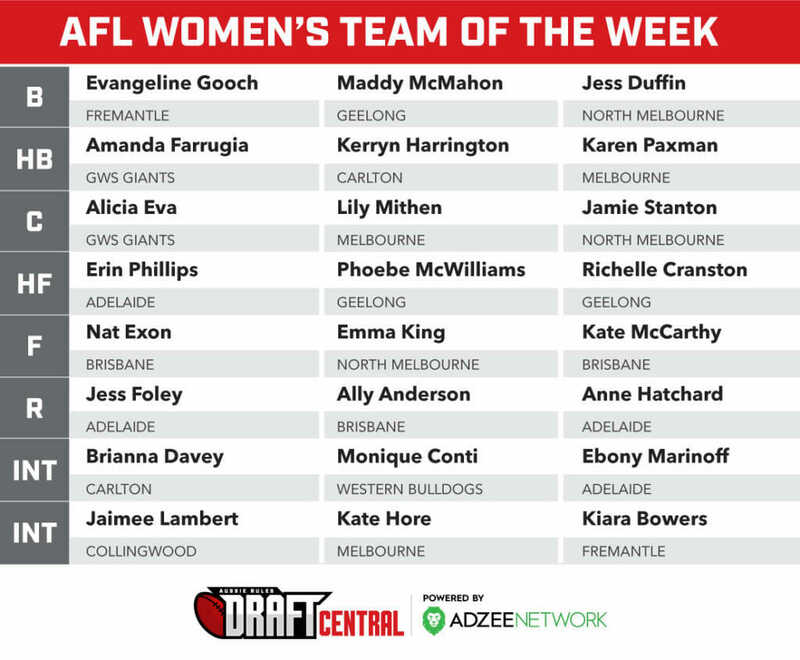 This leaves room for others to step up, with the likes of AFLW star, Sophie Conway, Grace Bibby, Trish Muller, Emma Gunn, Jacinta Louttit and Ellie Georgie being named in. After resting from concussion last week, Hawks fans will be excited to see Sarah Perkins back on the field for Hawthorn this weekend. They have also named Tahni Nestor, Rosie Dillon and Clare O’Donnell to take to the field. Meanwhile Eastern Ranges pair, Mikala Cann and Emerson Woods have been named out. After suffering their first loss of the season, the Thunder will be looking for a win on the home turf this weekend when it takes on the undefeated Collingwood. The Thunder has made numerous changes to its list, bringing in three debutants. Lateesha Jeffrey will follow in her father’s footsteps, who also represented Thunder, when she takes to the field for the first time this weekend. The former Southern Districts captain and best and fairest winner in the NTFL Women’s Premier League is sure to bring some class to her new team. NTFL Premiership player for Waratah, Gemma Cusack will also debut this week, alongside seventeen-year-old Nikki Gore who has been part of the South Australian Academy and has been named as the 23rd player. Others named in for this week include co-vice-captain, Sally Riley, Sophie Armitstead, Georgia Bevan, Jenna McCormick, Eloise Jones, Courtney Cramey and Rhiannon Metcalfe. Collingwood will be bringing back proven talent and also showcasing new talent in round eight. 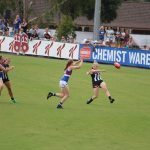 AFLW players Cecilia McIntosh, Holly Whitford, Ruby Schleicher and Illish Ross will be welcome additions to the side, all adding experience and drive to Collingwood’s line up. 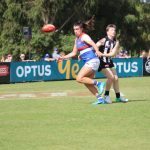 Gippsland Power junior, Jasmine Ferguson will pull on the black and white jumper for the first time this weekend and will be starting as 23rd player. Similarly, Fitzroy junior, Sarah King will also debut in round eight. Williamstown will take on a formidable Darebin outfit this weekend and has made three changes to its line-up. Jorja Rowe has been named back in the squad for her second game of the season. The Seagulls have also named Sharni Dixon and Ashlea Melnikas to take to the field. Darebin has named six changes to their round eight line-up, including a range of AFLW stars. Brooke Patterson, Nat Exon and Elise O’Dea will bring leadership and experience back to Darebin’s side this week. Esther Honybun will also rejoin the Falcons this week as well as talented young Knights junior, Alex Pronesti who has been named as the 23rd player. After a triumphant win over the Casey Demons last weekend, the Dogs will be looking to build momentum against ladder leaders, Geelong, in round eight. For the clash they have welcomed back seven players, including AFLW players, Naomi Ferres, Angelica Gogos, Ashleigh Guest and Tiarna Ernst. Ellyce Gamble and Mikayla Ward have also been named in. Returning from their round seven bye, the Geelong Cats will be looking to continue their undefeated streak. For the round eight match they have included the young former Geelong Falcon, Tiahna Andree-Jansz who will join the side for her first game of the season. Also named in are power forward, Kate Darby, Maddie Boyd, Hayley Trevean and Krista Woodroffe. Rebecca Pearce, Emma Oliver, Richelle Cranston, Lily Brancatisano and Georgia Watson will miss this week’s clash. THE Victorian Football League (VFL) Women’s competition continues to roll along as we establish contending teams and star players continue to dominate the competition. A big game between two top sides in the Hawks and the Pies kicks off the round while the Bombers and the Tigers go head-to-head down at Punt Road for a twilight encounter as the curtain raiser to the Dreamtime at the G showdown. A huge game between two of the in-form sides of the competition kicks off a huge round of footy. Hawthorn enter the game off the bye and look to maintain its perfect record after a trifecta of impressive wins to start its VFLW campaign. The Hawks have shown great ability so far to adjust to the flow of the game, with impressive offensive displays scoring over 60 points in rounds one and three. They have also been able to grind out a low scoring, defensive game, such as their clash against the Demons in round two. Collingwood also come into the game in unbelievable form and sit second on the ladder. The Magpies will get a huge boost with AFLW Rising Star award winner, Chloe Molloy making her VFLW debut. Molloy was unbelievable throughout the entire AFLW season, remaining a steady presence down back, and was one of the few bright spots of a disappointing campaign for Collingwood. After an impressive start out of the blocks, the Blues have stumbled in the past two weeks, dropping their record to two wins and two losses. Despite the loss to the league-leading Cats last week, Carlton was extremely impressive and held a one-goal lead heading into the fourth quarter before ultimately falling. Darcy Vescio was the star of the game, kicking four goals from her 11 possessions in what continued an excellent run of form. 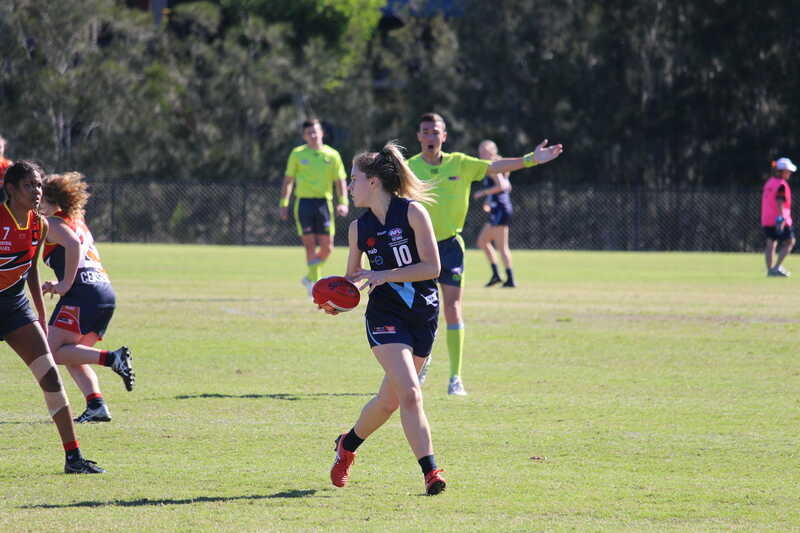 AFLW Academy member, Tyla Hanks was also particularly impressive with her 20 possessions and a major. The Blues face the Falcons who were absolutely unstoppable last week in a 10-goal demolition of the Demons. With standout performances across the board, the Falcons couldn’t do a thing wrong led by former Northern Knight, Maddy Guerin’s 18 possessions and three goals, AFLW midfielder, Lily Mithen’s 32 possessions and Hannah Mouncey’s five-goal haul. This is an important game for both sides as they look to keep pace with the top teams as the season rolls along. The Thunder has been absolutely unstoppable throughout its first three matches, making a huge statement to the rest of the league. There were stars aplenty in its last match with Adelaide duo, Marijana Rajcic and Jess Sedunary as well as NT native, Jordann Hickey, kicking three goals each. The Thunder has been an offensive juggernaut to begin the season and will be sure to cause the Bulldogs defence a number of problems. The Bulldogs have been disappointing to start the season, sitting at the bottom of the table, winless from their three games. Their near-victory against the unbeaten Collingwood should give them great confidence and belief that they can hang with the best of them and will need the same intensity if they wish to end the Thunder’s run of dominance. 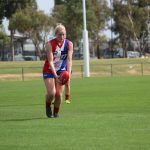 Naomi Ferres has enjoyed a nice run of form in the past two weeks, building off her Rising Star nomination in the AFLW competition, and will be a player to watch for the Bulldogs moving forward. Two teams who are in desperate need of a win go head-to-head for the first of two battles between the Bombers and Tigers on Saturday. Both teams come off demoralising losses in the last round, with both teams being noncompetitive throughout the game. The Bombers backline has been under plenty of pressure in recent weeks with the majority of play being situated in their defensive half. Despite their poor results, their pressure in and around the contest has been stellar, led by Hayley Bullas, who leads the competition in tackles. The Tigers again struggled to get going offensively last week with just three goals next to their name. Two of these came from AFLW Collingwood talent, Lauren Tesoriero, who played one of her better games of the season and will be a force to be reckoned with once again this week. Phoebe Monahan has also been a bright spot early on in the season and will be a big factor in the Tigers ending their poor run of form. Another match-up of two struggling sides who are in need of a victory kicks off the Sunday afternoon action in Williamstown. The Seagulls notched their first win last week in an impressive outing against the Tigers, running out 31-point winners. They look to continue to build off of the form they found last week and keep the momentum going as they surge up the ladder. 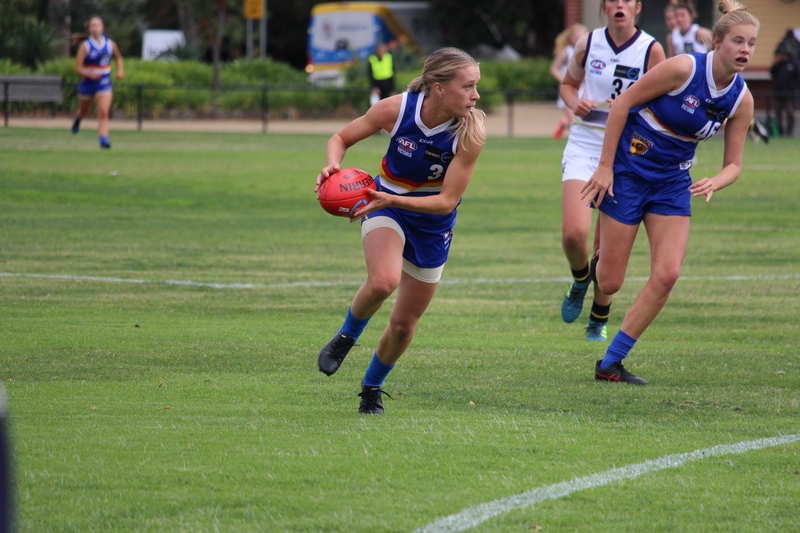 New North Melbourne recruit, Jess Duffin produced her best performance of what has already been a great start to the season, with 33 possessions and a goal. Teammate, Jasmine Garner was also impressive with 19 possessions and a goal of her own. For the Demons, they were completely overrun by Darebin last week after playing them tightly for the first quarter. Melbourne AFLW forward, Kate Hore has had a solid start to the season for Casey and continues to play her role each week. She will look to have an even larger impact this week and lead her side to victory. The round draws to a close as the league-leading Geelong Cats take on Melbourne University in what should be a compelling contest. Geelong was able to fight off a gutsy Carlton side last week and grind out an eight-point win, continuing its unbeaten start to the season. They have had consistent performances from players such as Maddy McMahon and Renee Garing, who have led from the front each week and been instrumental in their start. Geelong has seen great contributions from role players to begin the season and will need another total team effort to get over the line once again. 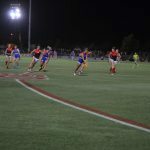 Melbourne University had been in good prior to running into the juggernaut that is the NT Thunder, who obliterated them to the tune of 69 points. Despite the loss, AFLW Academy member, Maddison Prespakis and Mugars captain, Ashleigh Riddell impressed in the midfield. Without Prespakis this week, Riddell will be relying on her other key midfielders to step up in the Mugars’ first home game of the VFLW season.